Home BlogWHEN IS HONG KONG HOSTING AN OPTION FOR YOUR CHINESE WEBSITE? Or you are dreaming about selling your products to Chinese consumers. But you are unsure as to how far your startup can go by hosting your website in Hong Kong? For every company (commercial or not) that successfully breaks into China, there are a hundred more waiting in the wings, intimidated by the heavy regulations and infrastructure challenges that the country throws up. China is today the second largest economy in the world and many Western companies are involved with China in one way or another. Hong Kong has historically been the gateway to China, and you won’t be surprised to hear that this is also the case in terms of web hosting. If you’re targeting regions such as Shanghai and the south, Hong Kong hosting can provide your website with a fast and reliable hosting solution. Maintaining a website from “inside the wall” is a luxury not every foreign entrepreneur can enjoy. Start-ups have to go through the bureaucracy and red tape associated with acquiring the right licenses. Sometimes this hassle can be avoided, simply by hosting your website “outside the wall”. So, when is hosting in Hong Kong (or anywhere outside China) a good option for your website? WILL MY WEBSITE BE SLOW IF I HOST IT OUTSIDE THE FIREWALL? It’s important to understand that, as a basic rule, websites hosted “outside the wall” tend to be slower than the ones hosted the mainland China. This is a product of the country’s telecommunications infrastructure challenges; because there’s a limited amount of bandwidth in the pipes going out of the country. Simple physics also states that the further away the server is, the slower its access within China. Websites hosted on servers in the US or Western Europe would in general be very slow when accessed from China. Websites hosted in Japan, Singapore and Hong Kong will be comparatively faster. To overcome the country’s structure bottlenecks, website owners can invest in a Content Delivery Network Provider (CDN), which enhances connectivity and assures content delivery. If you’re going to operate your website from Hong Kong, you will need a CDN provider, to overcome the slowness of the firewall and make sure your content will be delivered. WILL MY WEBSITE BE BLOCKED IF I’M OPERATING FROM OUTSIDE DE COUNTRY? Websites in the mainland are being blocked everyday, while websites hosted “outside the wall” can live long lives, without any interruptions. The location of your website is largely irrelevant to the censorship employed by China’s Great Firewall. That’s just not how it works. The firewall is a content-based censor, so if your site contains problematic content, then it will be blocked, no matter where you host it. The leading search engines and news media outlets get phone calls from the Propaganda Department of the party Central Committee every morning. These phone calls go to the chief editors of these organizations and they are told to transmit these orders internally. If they fail to follow these guidelines, then they are putting their company in danger of losing their Internet operating license in China. IS GETTING THE INTERNET CONTENT PROVIDER (ICP) LICENSE AT ALL AVOIDABLE? Only sites within the Chinese mainland are required by law to have an Internet Content Provider (ICP), so if your site isn’t hosted on the mainland, you don’t need one. In fact, it’s impossible to even apply for one if your site is hosted elsewhere. The answer to whether or not you need an ICP revolves around how serious you are about entering the Chinese market and on what scale. If you’re a small- or medium-sized company interested in delivering content to Chinese users, you don’t need a license to do so. In this case, you can host your website in Hong Kong or anywhere close to the country. However, if you’re planning to get a bigger piece of the China pie, and conduct business online, you will need to be able to establish your legal presence in the country and compete with local websites. For that you will need a “Commercial ICP”. It’s very important to keep the above conditions in mind if you want to operate a Hong-Kong hosted website. Knowing the conditions and the risks will allow you to prevent major issues and think strategically. 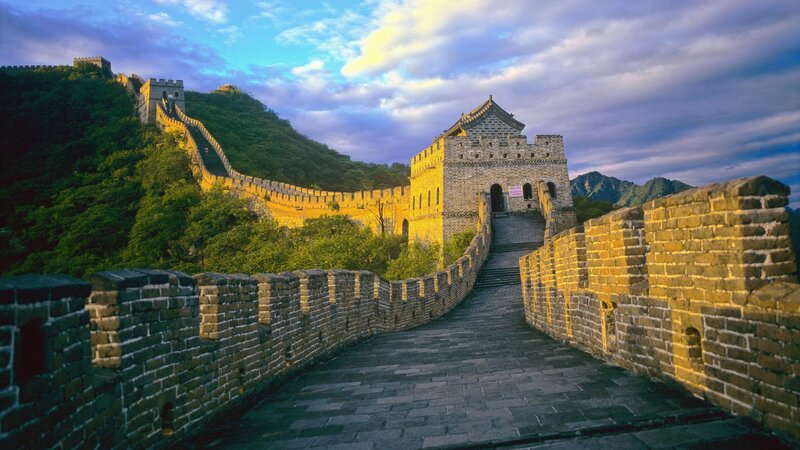 Making the decision to host your website inside or outside the Great Firewall depends a lot on your ambitions, and how your “Chinese Strategy” has developed. If you opt to host your website outside China, make sure you fit the criteria and are aware of the risks. If you’re a small- or medium-sized company interested in reaching Chinese users and delivering content but are not yet ready to sell goods and services online, we recommend you to host your company in Hong Kong, Taiwan or South Korea (depending on the specific region in China you’d like to cover). Add a good CDN provider to enhance connectivity and assure delivery of content. In this case you won’t need an ICP license. However, if you want to sell products or services online in China, you will need to be able to compete with local sites, ensure that your content is delivered fast and be able to react in case your website is taken down. For this, you need to be part of the system, by acquiring a legal presence and a commercial ICP license. Today, many rely on local service providers, who can help during times of crisis, and more importantly, before they ever occur. If you’re a small or medium company interested in delivering content to the mainland, Karma Technologies can provide you fast and reliable Hong Kong hosting. If you are a start-up with bigger ambitions and interested in doing business in China, we can help you think clever with your website hosting, and find you the right partners from inside and outside the wall.